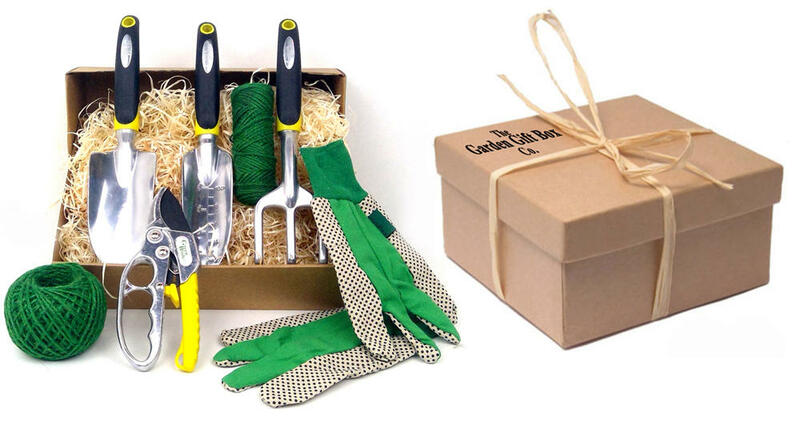 The Garden Gift Box Co.
At The Garden Gift Box Co., we're dedicated to providing you with great gift ideas. Whether it’s for a birthday, an anniversary, a seasonal or retirement gift, and not forgetting Father's or Mother's day, we've always got a great gift collection to inspire you. Whether you're looking for a little token to say "thank you" "good luck" or "congratulations", our gift boxes, for him or for her, are tailored to their interests, whatever your budget. All our collections are carefully packed in environmentally friendly, 100% recyclable materials, from the reinforced cardboard boxes to the natural kiln dried wood wool filling and jute ties. Our collections are made up of quality tools and garden accessories, and form a perfect gift for any hobby or occasional gardener. Each box is finished with a greetings card including personal printed message or blank for you to complete by hand. With next day delivery available for all of our gift collections, we're confident you'll be able to find just what you're after. So, why not take the hassle out of high street shopping! Simply put your feet up and let us do the work.